When it comes to fostering employee engagement and loyalty, there are few things more effective than well-planned and executed employee training programs. 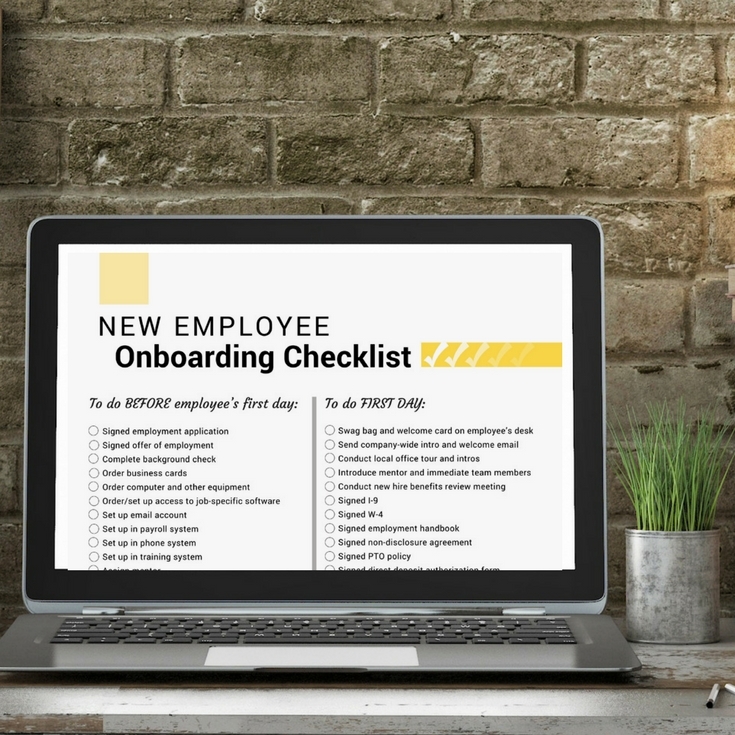 Starting with new hire onboarding and continuing throughout an employee’s career with your company, your ability to give them the tools and training they need can have a significant impact on your retention rate. Considering that the cost of losing an employee in the first year can cost up to three times that employee’s salary, it’s worth learning how to be more effective with your training. Here are eight strategies you can incorporate into your own practices to make them the best they can be. There are three widely accepted learning styles: visual, auditory and kinesthetic. You probably have employees that fall into each of these styles. Some might prefer to read training materials, while others learn better from verbal instruction or hands-on training sessions. While you may not be able to cater to everyone’s preferences, by using a variety of teaching methods, you will increase the efficacy of your training. Put it into practice: When you build out your training plan, include different formats, as well as a combination of verbal, visual and hands-on training and demonstrations. Get feedback on each format and the various components to continually improve your knowledge of your employees’ learning styles and your effectiveness. Onboarding is an important facet of your training program. Certainly, when you bring on a new hire, you want that employee to be productive as soon as possible. But consider how overwhelming it can be to, first, be in a completely new work environment, not to mention have a lot of new information thrown at you. Resist the urge to teach everything up front and instead chunk down the training into a logical sequence, testing for mastery along the way. Put it into practice: Start with only the essentials that a new hire needs to get started in her role. Offer follow-up training to ensure she’s confident in what she’s doing. Then and only then, layer on additional training that will expand her skillset. Continue this process, assessing for competence before moving on to the next phase of training. This will help her feel more confident and successful and less overwhelmed and frustrated. Identifying an internal “training champion” can dramatically improve the results of your employee training program. They’re called champions because they are enthusiastic about teaching others and helping them become acclimated to the company and their new roles. These individuals may come from human resources, or they may be found in other departments. Look for lifelong learners who can motivate, mentor, answer questions and demonstrate patience as new employees slowly learn the ropes. Put it into practice: Identify a champion to manage your employee training program and empower this person to implement and improve your training program. Be sure to “train the trainer” so he or she understands your objectives and desired outcomes. The training champion role could be a part-time job within an employee’s current responsibilities. Or if your training needs require it, you may want to hire a dedicated trainer just for this purpose. If your company uses specialized software or equipment, check to see if your vendor offers training. Often, you can receive this type of training for free or at a reasonable cost. Also explore the options for continuing education offered at industry conferences. Outside and specialized trainings can provide employees with access to cutting-edge tools and knowledge that will make them an asset to your company. It also demonstrates your interest in developing their skills and investing in their success. Put it into practice: Ask others throughout the company about external training opportunities. Depending on your business, purchasing, marketing and manufacturing may be good sources for ideas that HR may not be otherwise aware of. Employee mentoring can be helpful both to newbies and seasoned employees. By partnering the less-experienced staff with those who have been around a while, you’re setting them up to help one another. New employees get the wisdom of those who have worked in the company. Established employees benefit from new ideas and gain leadership experience, which can help them in their own professional development. Put it into practice: A mentorship program shouldn’t be mandatory. Instead, offer it as an option to existing and new employees. Invest some time to identify the pairings that will be most successful for both employees. Training is necessary for new hires, but continuing education can be an effective employee retention strategy for all employees. By offering staff the ability to learn new skillsets, you’re communicating to them that you value them and are willing to invest in their growth. You might consider offering training to enhance their current role, as well as cross-training that helps them learn about and appreciate the roles of others. Put it into practice: Consider making professional development the employee’s responsibility by offering an annual budget they can use for training and encouraging them to identify the educational programs of most value and interest. Cross-training can be provided at no cost by offering weekly or monthly “brown bag” lunch sessions where employees can learn from other employees. Be open to suggestions to learn and respond to what employees want most. Your employee training strategy is only effective if it meets the needs of your staff. How do you know if it’s working? Get feedback from your employees. This could come in the form of a post-training survey or in-person conversations. Ask employees what they enjoyed most about the training, as well as what they wished they’d learned but didn’t. Encourage ideas and suggestions for improvement. Put it into practice: Once you have the feedback, be sure to implement it. If you’re being told, for example, that your training sessions are too long, consider breaking them up into shorter sessions or adding more breaks. If employees want new and different trainings, investigate and report back on what you’ve found. You might even have employees vote on the trainings they most want. There’s no rule that says employee training has to be serious and centered only on the facts. Incorporate collaboration, even games and rewards to keep employees interested and coming back for more. They’ll be more likely to retain what’s being taught, and they’ll be more engaged in your business. The cost of premature employee turnover – not to mention the expense and lost time spent recruiting employees to replace those who have left – demands that HR managers find new and better techniques to retain employees. Training is a proven way to keep your employees engaged and happy. And it’s a vital element of your company’s culture and future success. Want to WOW new hires? YES, SEND ME THE CHECKLIST! Sick & Vacation Time or PTO: Which is Right for Your Company?